A lot has changed since the DTCC last year held its first ever Blockchain Symposium. Perhaps the most obvious shift is the name itself, which for Wednesday’s gathering, had become the ‘Fintech Symposium‘. And, instead of a day of panels dedicated to blockchain, the corporation – which conducts on average about $1.5qn worth of transactions a year – only dedicated a single panel exclusively to blockchain. But the change was perhaps nowhere more palpable than during an audience poll in which multiple questions on blockchain were repeated from last year’s event. The audience was asked during both events, when a ‘production ready’ distributed ledger solution would be adopted by the industry. Notably, the attendees – consisting of several hundred financial leaders from a range of startups and corporations – dramatically changed their votes on the question. 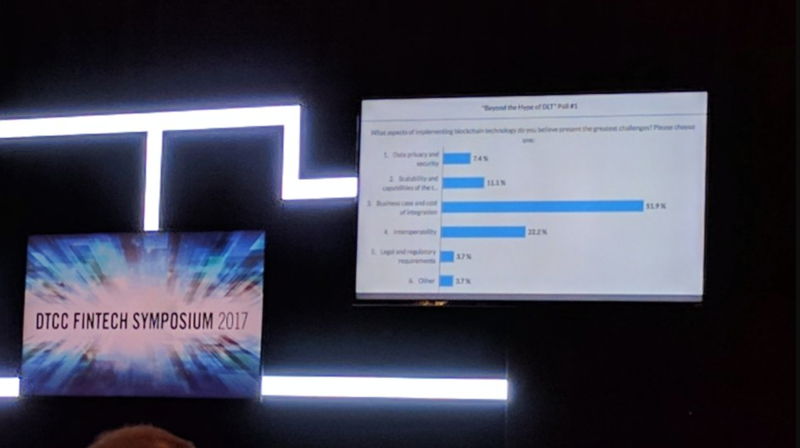 At the 2016 symposium, the lion’s share of votes (32%) indicated that the audience thought mainstream adoption would happen within six months to a year. At yesterday’s event, however, only 3.9% of the audience cast a vote for the same time frame. By comparison, the most frequently selected time frame at yesterday’s event showed 44% of the audience saying mainstream adoption would occur within 3–4 years, followed closely by a 1–2 year interval, which took 39.5% of the vote. 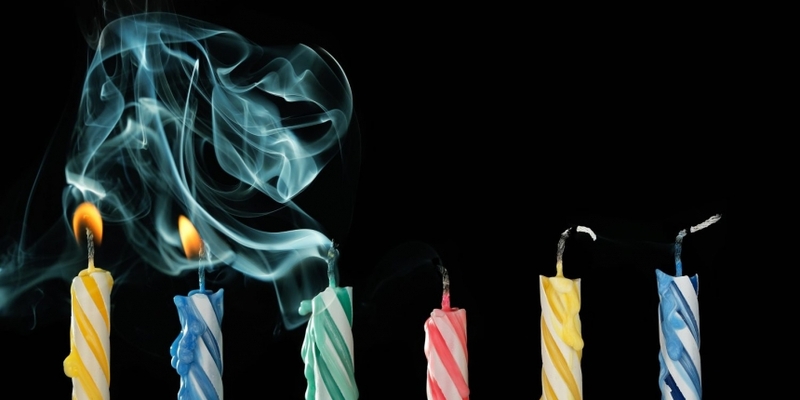 Further, in 2016, the slice of the DTCC audience that believed mainstream adoption would occur during a particular time frame decreased the further out the prediction went, with the least number of respondents (just 10%) predicting it would take more than six years. At this years event, a full 84.2% of the audience believed mainstream adoption of distributed ledger technology would occur between 1–4 years, and then a similar pattern going forwards: with 3.9% voting for between six months and a year, 5.3% voting for 5–6 years, and 6.6% voting for more than six years. In a related blockchain poll over which aspects of implementing blockchain technology presented the ‘greatest challenges’, the 2016 winning category came top again with a very similar percentage, though a new category was added, which took second place. In 2016, ‘business case and cost of integration’ was the most selected obstacle with 32% of the votes, and it came top again this year, with 33.8% of the votes. But a new answer choice, ‘interoperability‘, added this year, was considered the second most common obstacle, with 20.3%. This was followed by ‘scalability’, which was last year selected by 21% of the voters, compared to 18.9% this year. As featured by CoinDesk, a key theme of both DTCC president and CEO Michael Bodson’s keynote and the blockchain panels was the difficulty experienced by much of the industry in hiring blockchain talent and the need to invest in educating future professionals. Added to yesterday’s event, in addition to the blockchain focus, were panels on the impact of cloud computing on finance, as well as the influence of robotics, machine learning and automation. The DTCC is currently in the process of moving records for $11tn worth of transactions to a blockchain built using Axoni’s technology, under the management of IBM and advised by the R3 distributed ledger consortium. Earlier this week the DTCC also announced it had had begun the next stage of its work with Digitial Asset Holdings to possibly implement a blockchain-based repo solution.